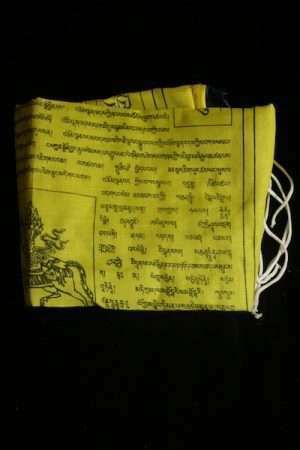 Prayer flags with mantras in different sizes. 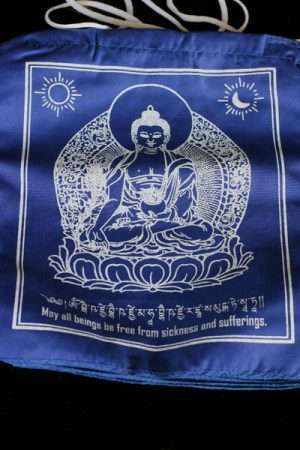 Vertical Prayer flags, Buddhist flags, Eight signs Prayer flags and Medicine Buddha Prayer flags. 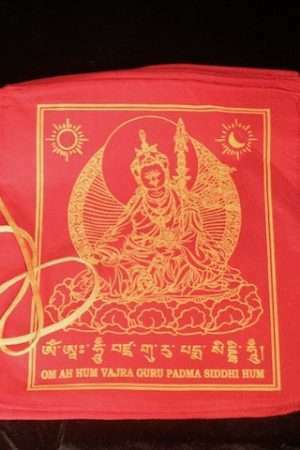 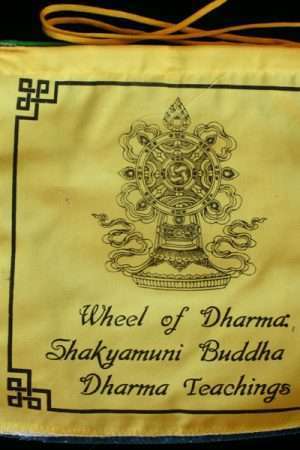 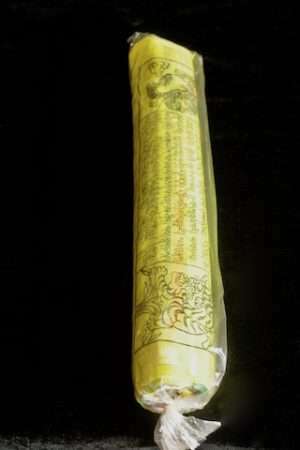 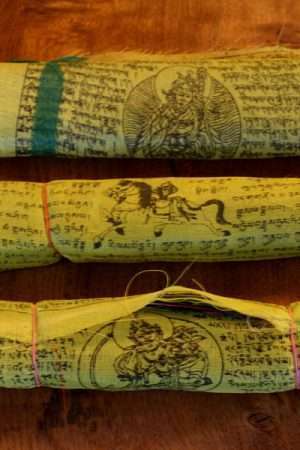 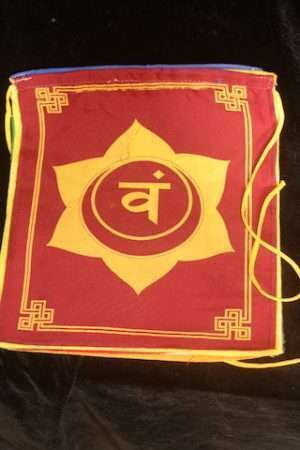 The Tibetan word for a horizontal prayer flag is Lung ta, which translates literally as “wind horse.” The prayers of a flag become a permanent part of the universe as the images fade from wind and sun. 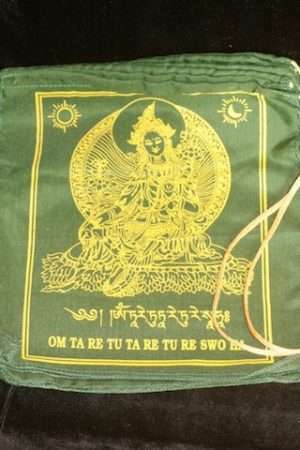 The mantras are blown by the elements into the world. 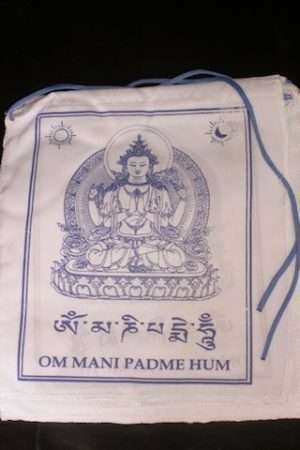 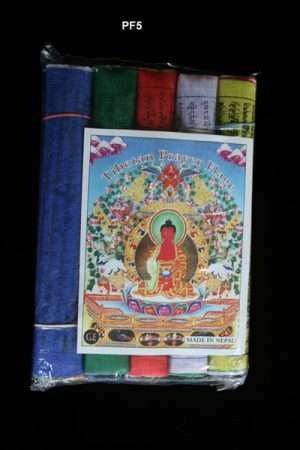 The most common is om mane padme hum, mantra of compassion. 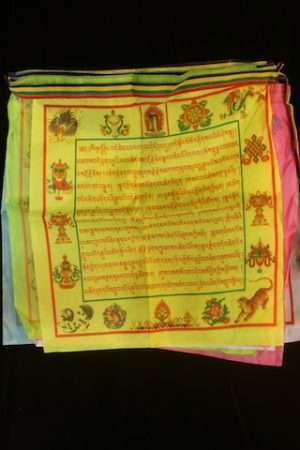 Tibetans renew their hopes for the world by continually mounting new flags alongside the old especially at new year.